If you are new to crypto (Bitcoin, Ethereum, etc…) investing you may be wondering what a “wallet” is and how to get one. There is a lot of confusing information out there. The first thing you need to understand is that a crypto wallet is equivalent to a traditional bank account. It simply provides an address where you can send and receive your crypto transactions. The addresses come in many varying formats depending on the blockchain (Bitcoin, Ethereum, Ripple, Monero, etc…) but there are equivalent to the IBAN or account number for your traditional bank account. When you are asked to provide your address you usually have two options. In the case of Bitcoin it is best practice to use a new address for every transaction. This makes it less obvious to observers of network traffic how much funds you have in total. For other blockchains you have a single address and you it for every transaction. Next you will be wondering how do you get one of these new fandangled wallet contraptions. The answer is that it is not a simple choice. There are literally thousands of options out there. However you can break it down into a few groups. The original option is a self hosted private wallet. That means you download an application to your desktop or mobile and generate a private wallet with a private passphrase. This is called decentralisation. Everyone is in charge of their own wallet i.e. “bank account” and we all have control of the passphrase i.e. “keys” to the wallet. However you need to make sure you keep a physical copy of the wallet and passphrase in a secure offline location. If you loose that info you loose access to your funds. There are many apps and they all have some benefits and some negatives. It’s a good idea to do some research before committing a large amount of funds to any single solution. In fact it is probably a good idea to have a couple of apps with different wallets. Similar to having multiple bank accounts. Just in case one of them stops working, is in accessible when you need it, or you realize that the fees are too high compared to another solution. Some apps will try to help you manage your wallet by making a backup for you which you can recover if you loose your phone. You should always store your wallets private key or “passphrase” on paper and offline. Some people realized that self sovereignty and managing your wallet security on your own is a bit too technical for a lot of us so they came up with a concept called a hardware wallet. This is essentially a mini computer and disk drive which has custom software installed to let you easily manage your funds. 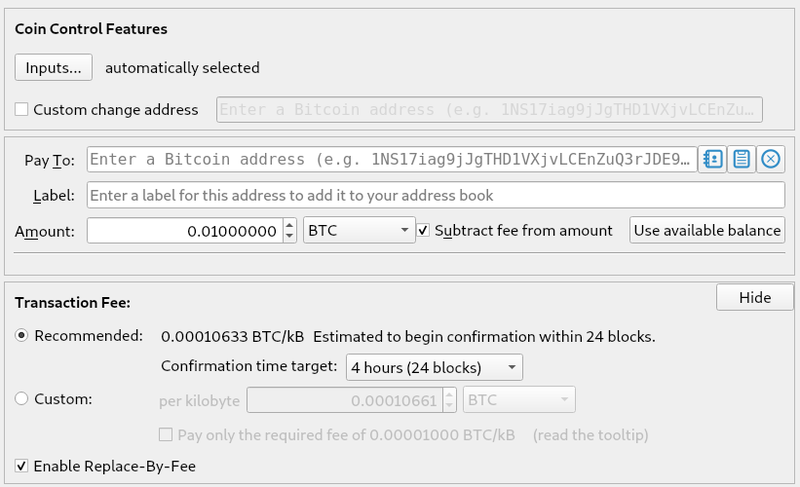 When you want to send some funds you just plug it into the nearest computer and it is good to go. However like all software they can have bugs so these solutions are not always perfect. A third option is called a paper wallet. This is essentially a physically printed copy of your wallet details which you store in a manila folder or maybe you carry it around in your actual wallet. Some people even go so far as to engrave the details onto a slab of steel or granite and bury it underground like old timee gold. If you are into technical stuff you can try your hand at hosting a node on the blockchain network. This means running a program on your desktop which keeps a copy of the specific blockchain. It will take up some space but it helps to increase the strength of the network against failure. The more copies of the blockchain the less likely it will be attacked or destroyed in the event of a catastrophe. In this case you will also get a wallet which you can manage yourself. The last option is to use a centralized service provider like a crypto exchange. This is not considered to be very safe because crypto exchanges are high profile targets for hackers. It much better to keep your funds in a private wallet and only transfer them to an exchange when you need to convert them to cash or if you want to try your hand at speculating on the crypto market price. They also have a tendency to charge fees for deposits and withdrawals as well as when you convert from one crypto currency to another. Whatever you choose the next step you will be asking is how do I get some crypto. If you just want to dip your toes then a simple solution is ready for you to try at BITGIFTR.com where you can purchase Bitcoin using your paypal account. You can make a purchase from $5 to $100 and we will send the Bitcoin to your new Bitcoin wallet address. Rest assured that we treat every order with the same priority. Our average turn around time is less than 4 hours and we have no hidden fees.